Sussex Police has confirmed that the search for a missing person off the coast of Brighton has ceased but enquiries are continuing. A spokesman for Sussex Police said: “Police and Coastguard were called to reports of concern about a person in the water off the coast of Brighton. “The call was received at 9.15am this morning (Saturday, March 25). 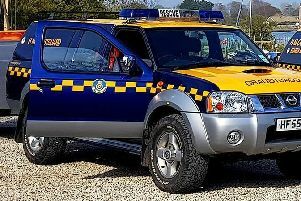 “A search of the immediate coastline was carried out by the Coastguard with Sussex Police supporting. “The search has now ceased. A spokesman for the Coastguard said: “We received a 999 call from a member of the public who was concerned about a person in the water. “We sent our Shoreham Coastguard, our search and rescue helicopter from Lydd, in Kent, and the Brighton RNLI Lifeboat team also assisted. Shoreham Coastguard also confirmed it assisted in the search.